Using 5% R.A.S. 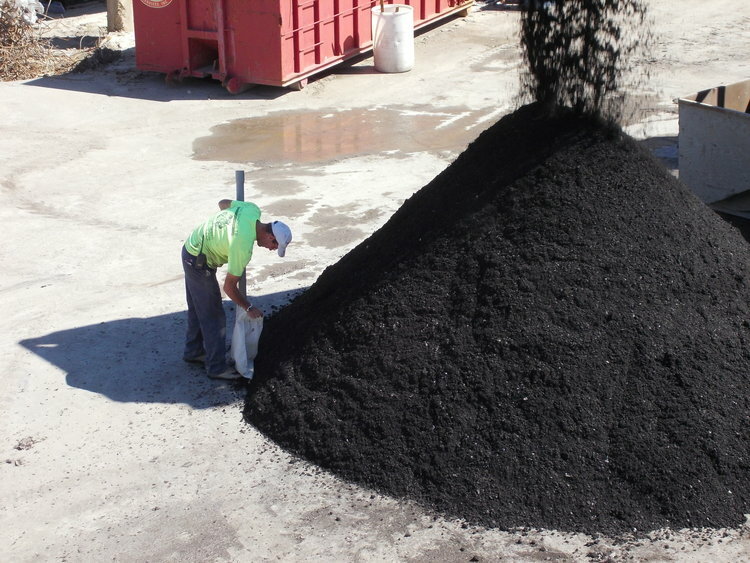 with an average AC content of 20% yields 1% of virgin asphalt cement saved. 1 average household roof contains 50ft of road! Every 10th of a percent of AC you replace saves 30 cents a mix ton! R.A.S. can save on average 3-6 $ per ton of mix. According to a survey conducted by the National Asphalt Pavement Association (NAPA) in partnership with the Federal Highway Administration (FHWA), about 66.7 million tons of reclaimed asphalt pavement (RAP) and 1.2 million tons of reclaimed asphalt shingles (RAS) were collected in the United States during 2011 for use in new pavements. The use of RAP and RAS during the 2011 paving season translates to a saving of 21.2 million barrels of liquid asphalt binder, saving taxpayers some $2.2 billion. In 2011, RAS usage continued to climb, increasing to 1.2 million tons in 2011 — an 8% increase over 2010, and a 52.5% increase since 2009. Since 2009, RAS usage has been reported in 36 states. The roof over your house and the road in front of it have a lot in common. Both are held together with asphalt cement, a petroleum based binder. Shingles can contain between 18% and 28% asphalt cement which is used to bind a number of other materials such as fine aggregate, granular aggregate and fiberglass or organic felt to hold the shingles together. This is synonymous with a roadway surface, where asphalt cement is used to bind together blends of aggregate to form a cohesive road structure. Studies in Indiana in 2011 and 2012 have shown that roads built with up to 5% of RAS perform better on rut resistance and low temperature cracking than that of common mixtures. For each ton of recycled shingles there is up to 18-28% of asphalt cement. While the market does not see recycled shingles as a valuable commodity, each ton of RAS can cost on average as little as $30.00 per ton. With pure virgin asphalt cement costing as much as $600.00 per ton, the savings can be significant. The presence of asphalt cement in roofing shingles means that recycled shingles can be and should be used as a component in asphalt pavement. This practice has quickly been gaining acceptance throughout the U.S. and has a number of environmental and economic benefits.